Submitted by mahoney on Tue, 04/15/2008 - 1:31pm. For more than 50 years, Sonic Corp. has built a dominant position in the drivein restaurant business. They have accomplished this by sticking to what made driveins popular in the first place. They have made to order American classics, signature menu items and speedy service from friendly Carhops. 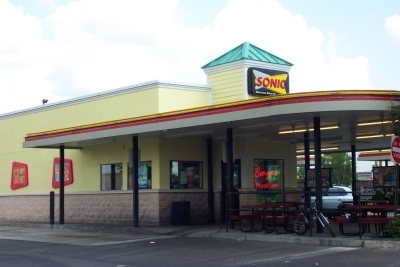 In the process, Sonic has become the largest chain of drivein restaurants in America. Updated the file. Net increase of 46 locations. Updated the file. Net decrease of 158 locations. Deleted a closed location in Norcross,Ga. Added a new location in Sanger,CA. Updated the file. Net decrease of 33 locations. Added a new location in Salinas,CA. Added new locations in Spanish Fort,AL and San Diego,CA. Added new locations in Baton Rouge,LA, Lexington Park,MD and Fayetteville,NC. Added new locations in National City,Ca, Albany,Ky, Cotulla,Tx and Hico,Tx. Submitted 3 closed locations: Cedar Rapids,IA (2) and Coraville,IA. Added new locations in Thomasville,AL, Odessa,TX (2) and Tomball,TX. Submitted corrected coordinates for the locations in Santee,CA and San Diego,CA. Added a new location in Benton,KY. Added new locations in Milfort,CT, Seneca,MO, Houston,TX and Waxahachie,TX. Added new locations in San Marcos,Ca, Lauderhill,Fl, Timonium,MD and Sun Prairie,Wi. Location in Green Bay,Wi has closed. Removed from file. Added 5 new locations: Jamestown,TN, Murfreesboro,TN, Verdigris,OK, Minot,ND and Iowa,LA. Added 6 new locations. Evansville,Wy,Boyd,Tx,Joplin,Mo,Holmes,Pa,Tulsa,Ok and Cayce,Sc. The location at 6109 White Horse Rd, Greenville,SC has closed. Added new locations in Lapeer,MI,Glen Allen,VA,Fresno,CA,Cicero,IL,Kyle,TX,Omaha,NE and Wichita,KS. Added a new location in Hebron,KY. Added 3 new locations: Delano,Ca, Villa Park,Il and Camp Pendleton,Ca. Added a new location at 660 College Park Rd, Goose Creek,SC 29456. Added a new location at 8821 Farrow Rd, Columbia,SC 29203. Added a location at 2101 10th Avenue South, Great Falls,MT 59405. Noted: The locations in Venice,Fl and North Port,Fl have closed. Added locations: Yuma,Az, Ellijay,Ga, Loves Park,Il and Edison,NJ. Location in Vero Beach,Fl is now open. Location in Willow Grove,PA is now open. Submitted changes to the file. Added location in Fruitland,MD and the location in Easton,MD is now open. The location in Franklin Park,NJ is now open. Submitted new coordinates for the Montgomery,Il location. Submitted location in Kingston,NY. First location in New York state. Recd 3477 sonic locations for use in filling any gaps in the current file. added locations in Nazareth,Pa and Bridgeville,Pa. Corrected the coordinates for the Virginia Beach,Va (Va Beach Blvd) and the Bristol,Tn (Volunteer Pkwy) locations. Incorporated the changes made to the Sonic Florida file. Added two locations from the Texas file. Contributed Kentucky and reported a duplicate in the AL file.